We’re coming up on Memorial Day weekend and graduation party time. What does that mean for you? Plenty of coupons and savings! 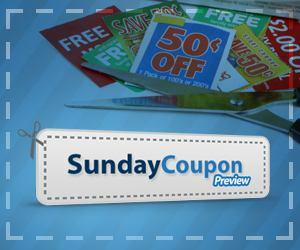 According to Sunday Coupon Preview, there will be three inserts in the Sunday, May 19, 2013, newspaper – two Smartsource inserts and a Red Plum insert. You’ll find savings on everything from Colgate to Coca-Cola and more.